Our Cry: Feel it! Find it! Fix It! 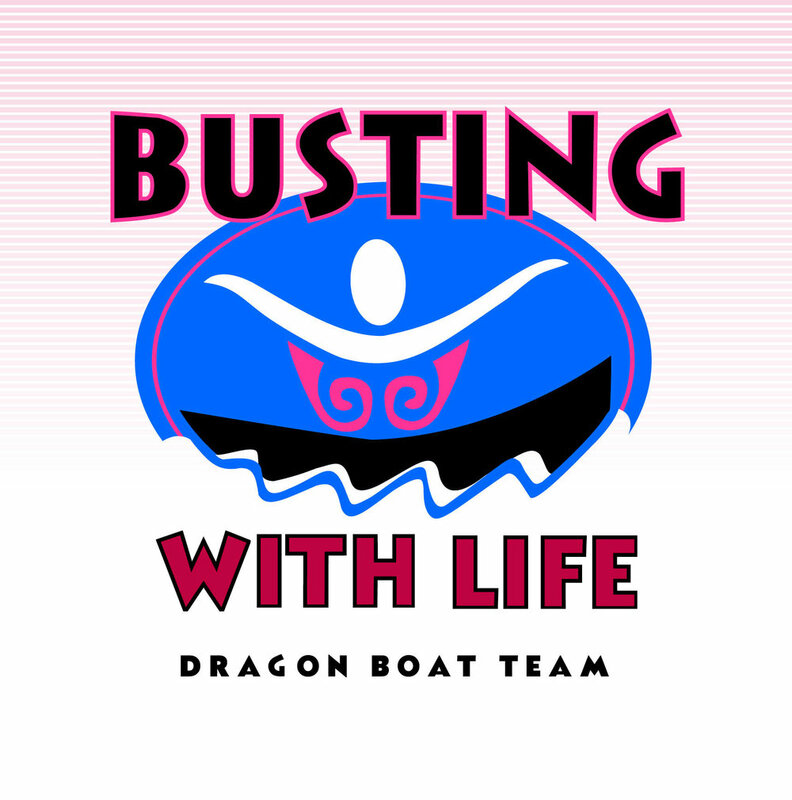 The Busting With Life Dragon Boat team was established in 1998 to provide hope and inspiration to those with breast cancer, and to make a difference - through heightening awareness of breast cancer, and through encouraging active living following a diagnosis and treatment of the disease. That goal remains today, 19 years after it all began. ▪ To inspire those with breast cancer to lead full and active lives. ▪ To improve the quality of life for breast cancer survivors whilst research to find a cure continues. ▪ To heighten awareness of breast cancer, with a particular emphasis on early detection. Through the strenuous demands of dragon boat paddling, we have learned that we can push the limits of our physical endurance, and push past the limits imposed by our minds … and have fun doing it. We have grown stronger as individuals and as a team. We began as strangers connected only through a common disease, and grew to be friends and a support network for one another, for our families and for the wider community. We would like to acknowledge the support and friendship of the Auckland Dragon Boat Association without whom, we would not be able to operate. They help to create a wonderful community of which Busting with Life is a part. If you join us you will become part of this wider community of dragon boaters. If you would like to learn more about the Auckland dragon boating scene and find out about upcoming events please head over to their website. All members are asked to sign a "My Commitment to Busting With Life" document. Click here for that document. Dr. Don McKenzie, a sports medicine physician at the University of British Columbia in Canada, launched Abreast In A Boat in 1996 to test the myth that repetitive upper-body exercise in women treated for breast cancer encourages lymphedema. Dr. McKenzie believed that by following a special exercise and training program, women could avoid lymphedema and enjoy active, full lives. As the program was followed, participants were carefully monitored by a sports medicine physician, a physiotherapist and a nurse. Dr. McKenzie's theory was proven correct. No new cases of lymphedema occurred and none of the existing cases became worse. From a medical study involving one boat of 25 women in 1996, breast cancer dragon boating now reaches around the world. Inspired by the Canadian study and the growing success of Abreast In A Boat, Trici Nelson – a breast cancer survivor - approached the Auckland Cancer Society with a proposal to form an Auckland team. Thus Busting With Life was born in 1998. Modern dragon boat racing is organised at an international level by the International Dragon Boat Federation (IDBF). The IDBF, a Member of the Global Association of International Sports Federations (GAISF) recognises two types of Dragon Boat Racing activities, namely Sport racing, as practised by IDBF member organisations; and Festival racing, which are the more traditional and informal types of races, organised around the world, where racing rules vary from event to event. A festival race is typically a sprint event of several hundred metres, with 500 metres being a standard distance in many international festival races. There are also some very long endurance events, such as the Three Gorges Dam Rally along the Yangtze River (or Chang Jiang) near Yichang, Hubei province, China, which covers up to 100 kilometres and the Ord River marathon in Australia which covers over 50 kilometers. Due to the long history of dragon boat racing in China, participants in cultural and racing events there number some 50 million people (on a population base of over 1 billion). Over the past 25 years, and especially since the formation of the IDBF and its Continental Federations, the sport of dragon boating has gradually spread beyond Asia to Europe, North America, Australia and Africa, becoming a popular international sport with a growing number of participants. Today, dragon boat racing (both sport and festival) is among the fastest growing of team water sports, with tens of thousands of participants in various organizations and clubs in around 60 countries - most of which are IDBF members or applicants for Membership. The sport is recognised for the camaraderie, strength and endurance fostered amongst participants, and it has also become a very popular corporate and charitable sport. The ADBA is the Auckland Regional Sports Organisation (RSO) facilitating dragon boating for the Auckland region affiliated to the New Zealand Dragon Boat Association and the International Dragon Boat Association (IDBF). The association currently has 17 adult teams and 35 secondary school teams giving them over 1,150 members. The ADBA are a non-profit incorporated society and registered charity, run 100% by the paddlers who are all volunteers. Their goal is to promote, facilitate and develop the sport of Dragon Boating within the Auckland region, by providing training facilities, equipment, safety crafts, rescue operators, mentoring and events. Members range from the age of 12 to 88 - Dragon Boating is a sport for all ages. The Auckland Dragon Boat Association facilitates a regionally based safe, supportive, fun and professionally focused sports programme aimed towards participation by community groups, youth and adult based teams.Easy to join, accessible to both individuals and groups, catering for all levels from social to the competitive/elite sports persons and teams. The New Zealand Dragon Boat Association (NZDBA) exists to promote and develop Dragon Boating as a sport in New Zealand. Aiming to assist teams to compete both nationally and internationally, the NZDBA is integral to the growth of this sport in Aotearoa. Membership is compulsory for any team competing in a New Zealand Dragon Boat event. The IDBF is the World Governing Body of Dragon Boat Sport and as the GAISF Member recognised by the Council of the GAISF (Global Association of International Sports Federations) classifies ICF Dragon Boating as 'Closed Competition'. IDBF member associations or federations have been established in over 56 countries since 1991, as well as many others and there are a further 20 other dragon boating nations known to the IDBF. The IDBF, whilst a Member of the GAISF, is not presently an Olympic Federation of the International Olympic Committee (IOC) but will apply for this status when it has 75 Member Countries or Territories - the minimum number needed for IOC recognition. Some National Olympic Committees (NOC) have already accepted Dragon boat national organization for national membership and the Olympic Council of Asia recognises the Asian Dragon Boat Federation (ADBF) as the IDBF Continental Federation with responsibility for Dragon Boat Sport in Asia. to learn more head to their website. Dragon boating is a costly sport – training and race boats, venues, equipment, race entry fees, travel, safety boats, promotion, team and paddler development, uniforms, administration, etc. We aim to be a team that is accessible to all breast cancer survivors, regardless of financial means, so raising funds is critical to our continued success. Without our sponsors, donors and key supporters, Busting With Life could, quite literally, not stay afloat. The whole team works hard throughout the year to raise funds, through participation in various fundraising functions and activities, and through the development of relationships that hopefully lead to donations from corporate sponsors, grant providers and support agencies. Corporate sponsorships and trust grants are our lifeblood. We are indebted to our sponsors and donors for their contributions. If you would like to make an instant on-line donation via the secure website 'givealittle' click here now. Busting With Life is grateful for any and all support. Thank you to the Lion Foundation for their ongoing support of the Busting with Life team and a huge thank you to John Papalii and the team at Greyman Fitness Solutions for supporting us in donating onshore training facilities.